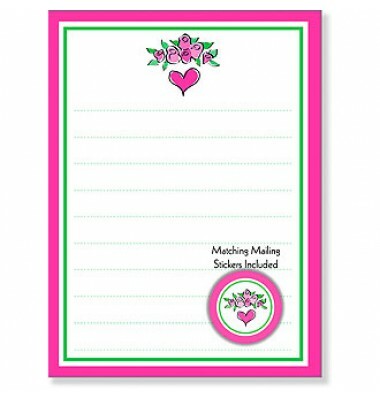 Little girls will love sending letters on stationery designed just for them! 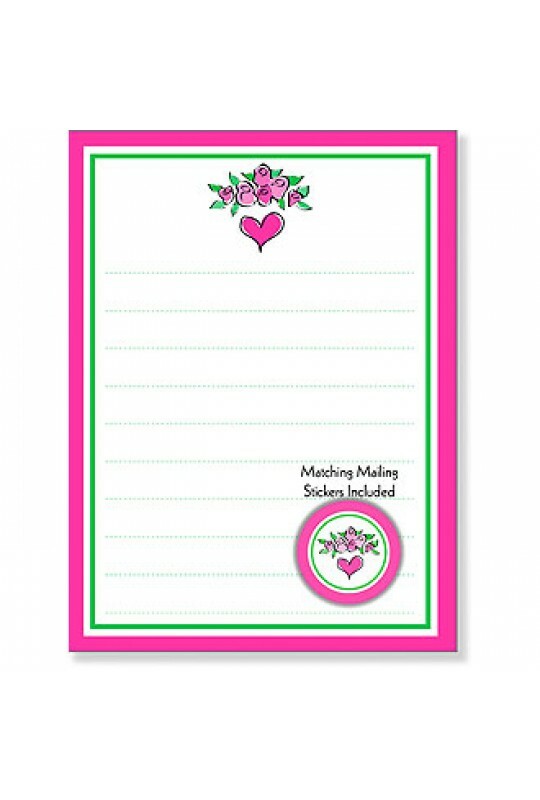 Our kid's themed lined stationery features a bouquet of pink roses above a pink heart. The card has a pink and green border. We also include matching envelope seals for that extra special touch.